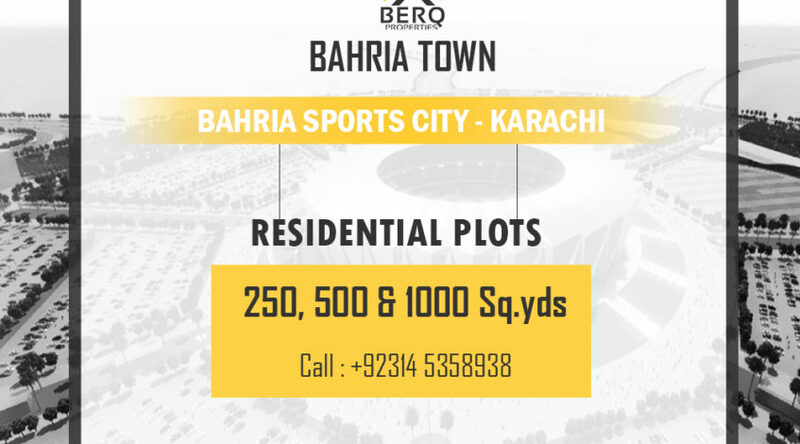 Bahria Sports City was launched in February 2016 and its masterplan and precinct maps are released after the balloting held on 10th November 2016. There are 12 new precincts included in Sports City starting from precinct 34 up to precinct 45. 250 sq yards, 500 sq yards and 1000 sq yards residential plots as well as 350 sq yards luxury villas are given plots numbers at different precincts. 250 sq yards plots are located in Precinct 34, Precinct 40, Precinct 42, Precinct 44 and Precinct 45. 500 sq yards plots are located in Precinct 36, Precinct 37, Precinct 40, Precinct 42-A and Precinct 43. 1000 sq yards plots are located in Precinct 36, Precinct 37, Precinct 38 and Precinct 39. 350 sq yards luxury villas are located in Precinct 35. Rafi cricket stadium is planned between Precinct 34 and Precinct 35. There is much demand for plots surrounding the stadium as well as plots on Jinnah Avenue. Note: The above are launching prices and are subject to change according to market fluctuations. Kindly contact us for current rates.